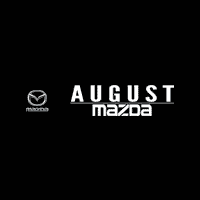 Welcome to the August Mazda Finance Centre! Buying or leasing your next Mazda is a lot easier than you think. Apply for Pre-Approved Credit Now… through our Secure Server. Our finance experts will assist you throughout the purchase process whether you’re buying your first car, making room for a growing family, or purchasing the toy you’ve been dreaming of. August Mazda finance offers numerous options for ALL credit scenarios. Our team of leasing and loan professionals have developed extensive bargaining power with all the major banks and lenders and are willing to put this knowledge to work for you. Don’t forget to ask us about these great services: Mazda Added Protection, Platinum Shield Protection, First Canadian Protection Plan used car warranty, and Auto Arm window etching.